Globalization and digitization imply new cultural and linguistic rapprochement. But even internationally known words remain incomprehensible if they are written in a foreign alphabet. Can a global alphabet solve this problem? 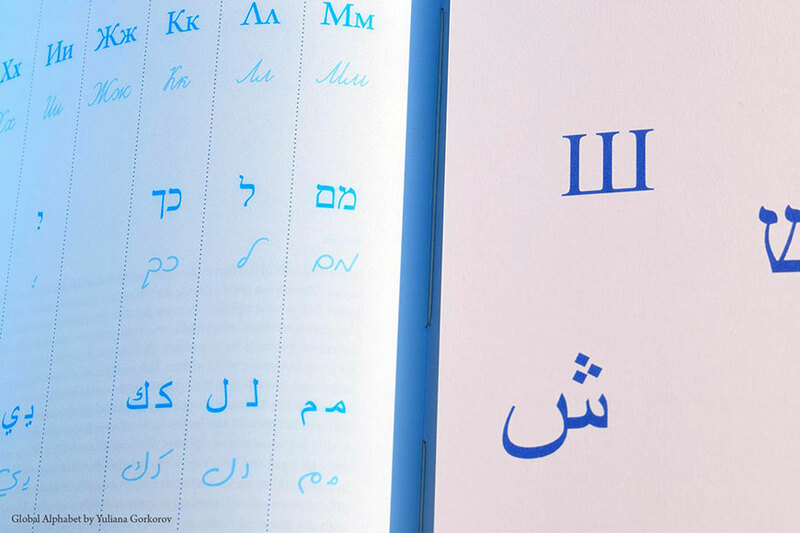 During a five-years search for answers to this question, I created five fonts that unite the Latin, Cyrillic, Hebrew and Arabic alphabets in different ways. 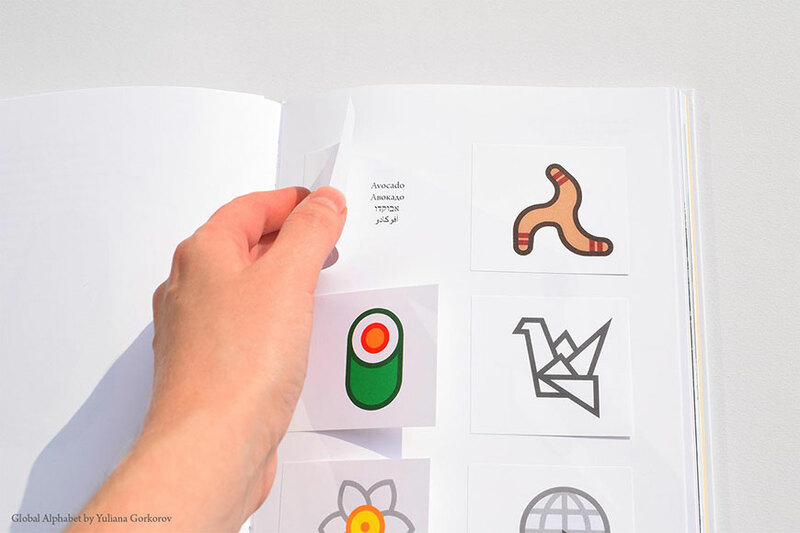 As a final project I designed a book that presents the fonts and shows, how a world with a global alphabet would look like. 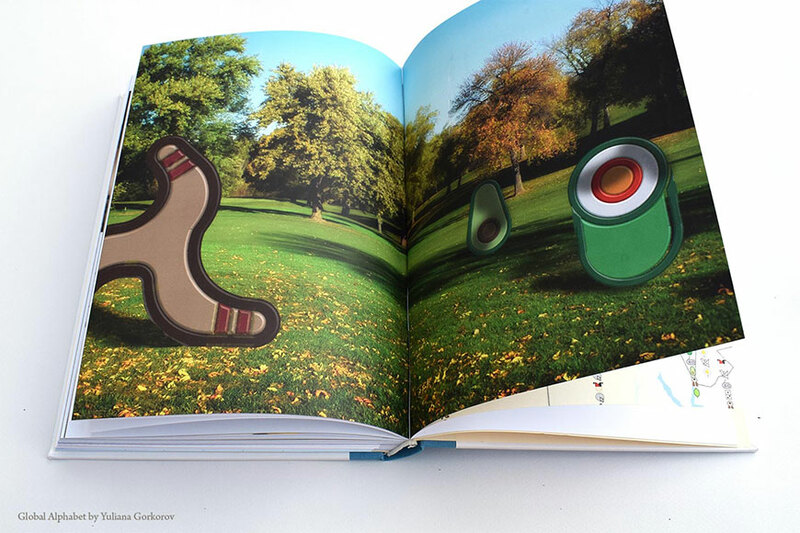 Several pages in the book can come to life through Augmented Reality, offering animated explanations. I invite you to read the global alphabet manifesto and to turn to a new page in the history of writing, where letters unite, and don’t separate us. Letters of the world, unite! Can you imagine a world without letters? Millions of thoughts, lost to the universe. Events that happened today already forgotten tomorrow, events that happened 100 years ago, may never have existed. Such was human life for thousands of years, before the revolution came and saved us from oblivion. This was the writing revolution, which occurred, ca. 5000 years ago. In the beginning there was a picture. Then there were dozens of pictures and later, hundreds of them. And then, 2000 years later, another revolution! The Phoenician alphabet is born. 22 signs, each sign depicting one sound. Simple and brilliant. The signs served to build words. With the words, sentences were built and with the sentences, texts. An infinite number of possibilities. Thought is no longer hopelessly lost to the universe. Hurray! 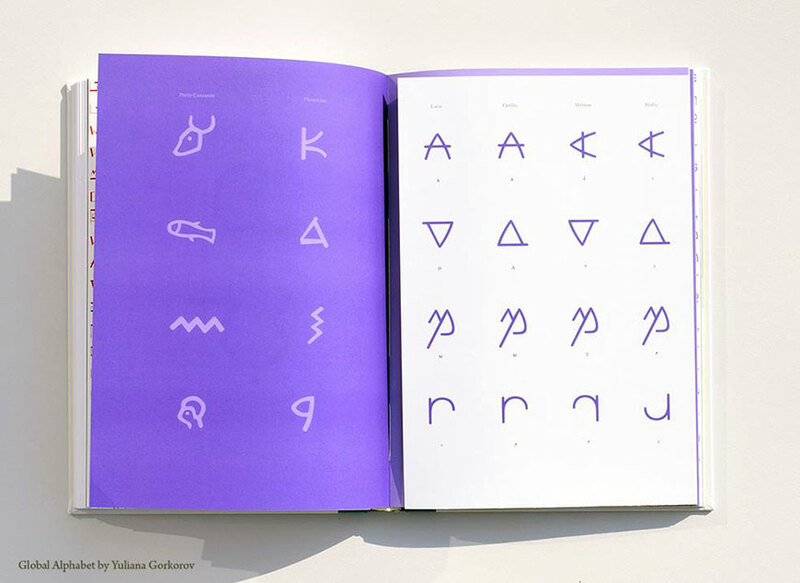 Even though the mother alphabet is no longer amongst us, her offspring, most of our modern alphabets – have spread and have taken over the world.Letters did not only contribute to communication, trade, the spread of religion and documentation of knowledge – with time letters were also attributed with having great mystical powers. Kabalists believed that each letter is a whole world and that different letter combinations have the power to change the world. They searched for further meaning in holy texts through different combinations of the letters, sought to reveal the secrets of the universe. Dadaist and Letterists on the other hand, separated any meaning from words and letters. A letter on its own appreciated as an art form. For most of the time since their inception, letters were a source of power that was owned by the privileged elite. The printing revolution, that took place 600 years ago, brought this power to the people. Today, the use of these precious little signs seems self-explanatory in many societies. We have stylized them into various forms, we admire them, and we even hang them on our walls. Long live letters! Today we are witnessing further revolutions, which are occurring in through digitalization and globalization. Cultures are moving closer to one another, and a new global culture is being born. The new global culture influences our languages, our literature, our music, our fashion, our art, and our lives. It also influences our letters. 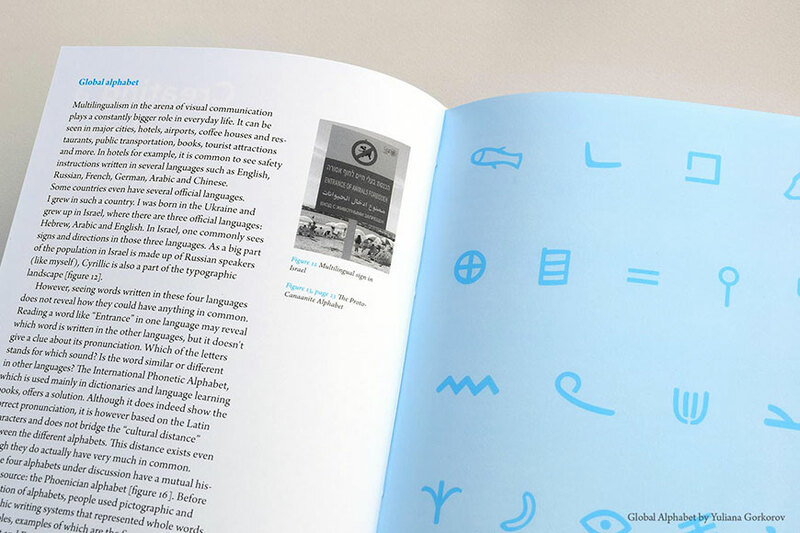 Thousands of different typefaces exist. 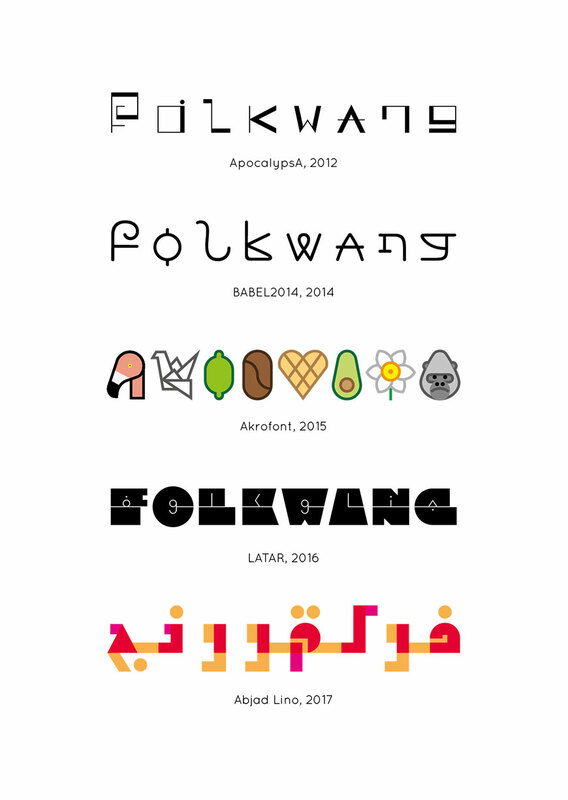 Amongst these, it is already possible to see typefaces with a foreign stylistic form. 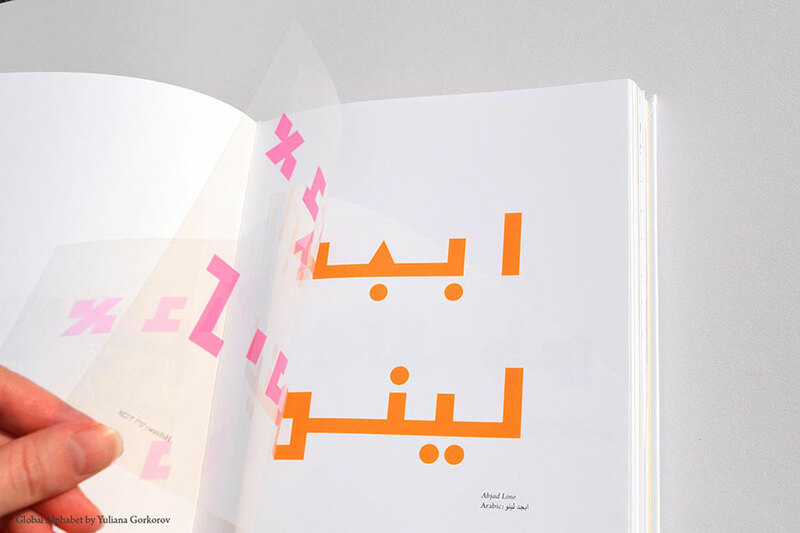 Type families are also being developed that take various writing systems into consideration. But I believe that much more is possible. I believe that the time has come to heal the alphabetic »Babel«. 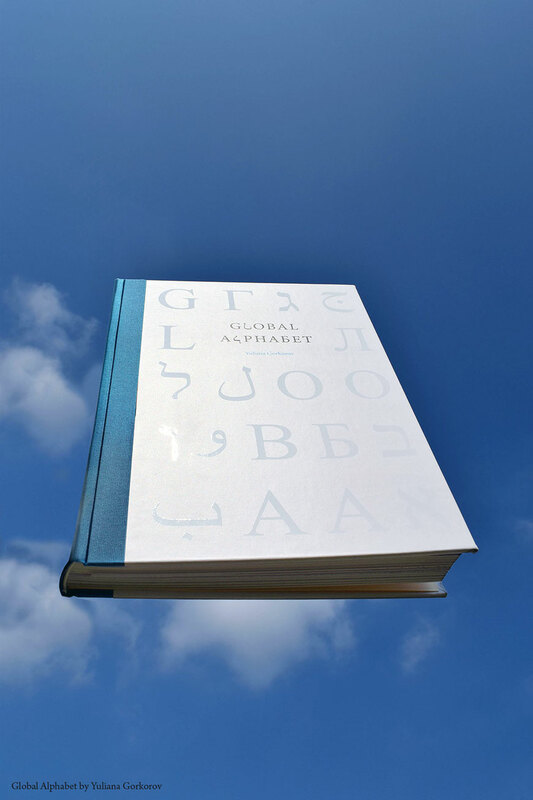 A global world needs a mutually global alphabet. To unite the letters as they are, according to sound similarity. To create one mutual form for each sound, showing the historic similarity between the letters. The alphabet should connect as many alphabets as possible, or at least two alphabets. It should be simultaneously readable in different languages. 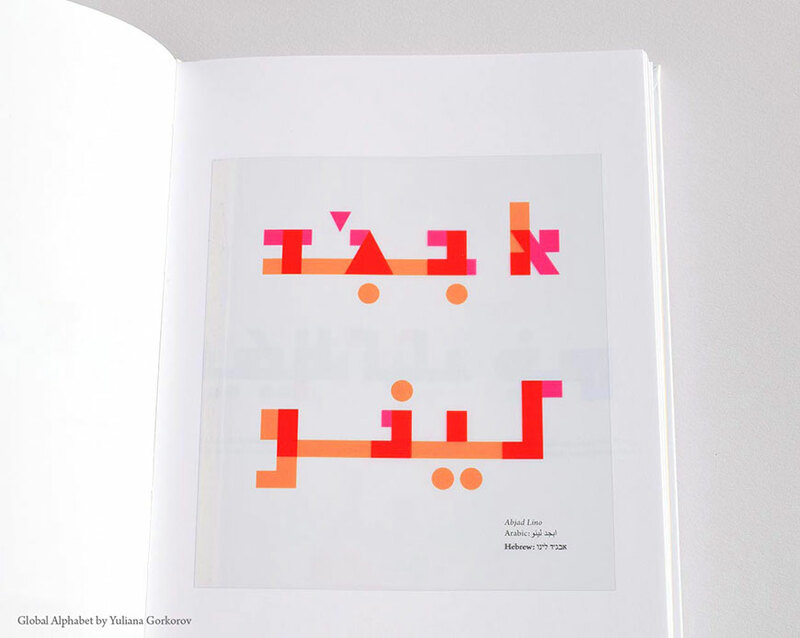 It should be equally inspired by the different alphabets, or alternatively, it should be a completely new alphabet. I proudly present Abjad Lino, LATAR, ApocalypsA, BABEL2014 and Akrofont to you, and invite you to turn to a new page in the history of writing, where letters unite, and don’t separate us the inhabitants of planet earth. Yuliana Gorkorov studierte im Graduate-Programm Heterotopia der Folkwang Universität der Künste, wo sie in diesem Jahr erfolgreich ihr Studium abschloss und den »Folkwang Brief für Gestaltung« erhielt.